Wifi Hacker is better and faster iWep takes 4minutes if you have all directories! Wifi Hacker is 86 seconds! (I won't bother updating wifi scanner as it was just a mod of the non functional iWep lite I modded to do the scanning for hacker!)... 17/06/2018 · You can hack your own network with free tools to test the strength of your encryption. Using these tools to hack into a network that does not belong to you is illegal. Follow... Using these tools to hack into a network that does not belong to you is illegal. 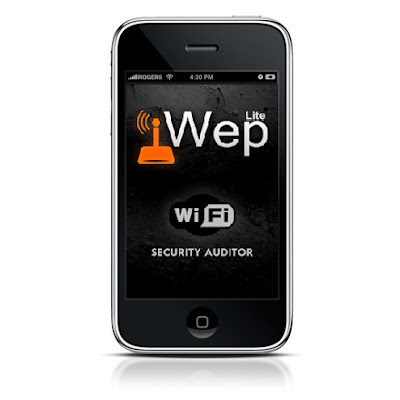 iWep Pro is a useful wireless utility for iOS users that can be used for a variety of purposes. Using this, one can check if their routers are exposed to any vulnerabilities, along with generating WEP key for your Wi-Fi router. Very often, this popular iPhone hacking app is also used for hacking Wi-Fi passwords. Depending upon the encryption, it breaks the password in some time.